Auburn Village knows how frustrating it can be for a senior to lose communication abilities. Our speech therapist focuses on returning you to your highest potential for communication. Treatment strategies can include compensatory techniques to improve speaking, reading, writing, comprehension, language interpretation, and expressive skills. 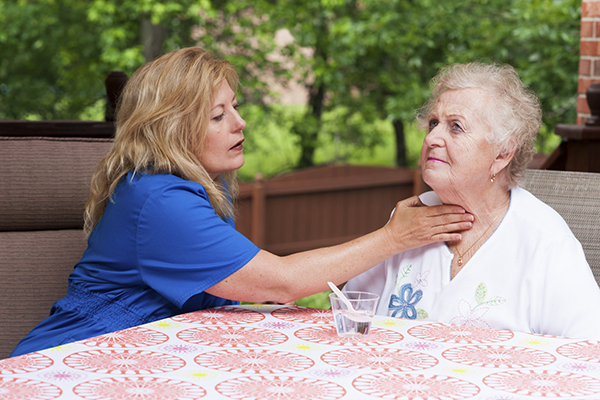 Speech pathologists work with individuals whose oral motor, swallowing, cognitive-linguistic, speech, or language skills have been affected by a neurological event, disease, head/neck cancer, or possibly debilitation due to an underlying medical disease process. Speech-language pathologists develop an individualized plan of care that is tailored to each patient’s needs. They might recommend alternate nutrition and diet levels to assist with swallowing, design an individualized communication system, or prescribe a speech generating device for individuals with nonfunctional speech. They provide education to patients, their family members and caregivers regarding impairments, disease processes, and compensatory strategies. Why Choose Auburn Village for Speech Therapy?